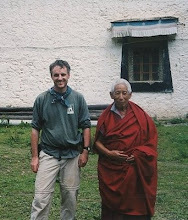 This blog site is a compilation of my trek diaries and photos compiled from various visits to China and Tibet retracing the plant-hunting travels of Joseph Rock since 1992. 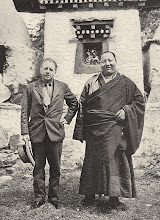 Joseph Rock made seven major botanical expeditions in the Southwest China/Tibet borderlands in the 1920s and 1930s. Over the 20 years I have gone back and revisited the routes he took. Some are (or were) relatively unchanged, others have been transformed by development. I took a few pictures with my old Leica and Rolleiflex cameras (I didn't adopt digital cameras until 2007 and even then continued to prefer film). If you want to find out more about these trips, check out the index on the right hand side of the page. I have provided links to the various blog entries I made at the time. 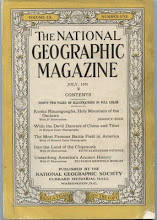 These are the major sections, but this website also covers a lot of other miscellanea relating to Joseph Rock and other explorers of the region, such as Frank Kingdon Ward. 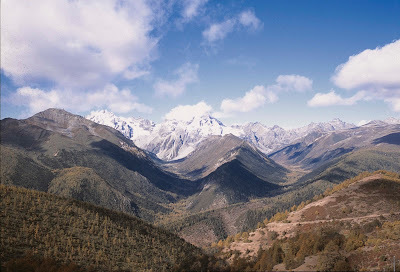 It also covers nearby areas such as Dali (I have the best photos of the Cangshan peaks), Lijiang, Kangding and Chengdu, with pictures showing how they have changed over the years. Unfortunately I haven't had time to arrange any of this in any sensible order. My advice is either to browse by year or do a search for your keyword in the box at the top left. I won't be doing much updating of this site as I have pretty much covered all the areas Rock visited. I'd like to add Tebbus/Drakana to your list, where JFR visited 3 times between 1925-1927. JFR loved the place which bring him deep inner peace, according to his diaries. If you want to visit the area some day in the future, I can help to guide, coz I'm a big fan of JFR and Robert Ekvall/W.E.Simpson. Hi Skagen. Yes it's an area I'd like to visit at some point. Just need to find the time and money!